Keith Last photo/Jack Murphy Stadium (originally, San Diego Stadium) served as home of the Padres from 1969 through 2003. The San Diego Padres nearly left the SoCal surf and sunshine in 1974. They were bound for Washington, D.C., the nation’s capital. San Diego businessman C. Arnholt Smith sold the team for $12 million to a D.C. ownership group, headed by Joseph Danzansky. National League owners approved the transfer on Dec. 6, 1973. President Richard Nixon, among others, looked forward to buying some peanuts and Cracker Jack. “You can be sure all of us in the Washington metropolitan area would enthusiastically welcome a National League team,” Nixon wrote in a letter to league president Chub Feeney, according to a recent article in the Washington Post. Nate Colbert, the first big Padres star, along with Cito Gaston, Randy Jones and a young Dave Winfield were among those players headed to D.C., a city without a baseball team. The Senators left for Arlington, Texas, after the 1971 campaign. As the Post article recounts, Padres pitcher Dave Freisleben even modeled a proposed Washington baseball road uni. The jersey and pants were powder blue, with a red, white and blue waistband and sleeve and “Washington” spelled across the uniform front in red lettering. The Padres, named in honor of the former Pacific Coast League franchise, landed on the big league scene with quite a thud. The team went 52-110 in its rookie MLB season, followed that with a 63-99 campaign and a 61-101 year in 1971. Colbert provided most the baseball thrills in San Diego during those early, awkward seasons. He slammed a total of 89 homers from ’69-’71, including 38 in 1970. Fortune didn’t change much in 1972. San Diego bumbled through a 58-95 campaign cut short due to a two-week strike. Colbert enjoyed his biggest year. He ripped 38 homers again and a career-high 111 runs with 15 stolen bases. He never had a bigger day than on Aug. 1 at Fulton County Stadium in Atlanta. The St. Louis native (Sumner High School) jacked five homers and drove in 13 runs as the Padres swept the Braves in a doubleheader. The 1973 version of the Padres ended up 60-102. Colbert hit just 21 home runs; the team’s top four pitchers (starters Bill Grief, Clay Kirby and Steve Arlin and closer Mike Caldwell) went a combined 34-63. Like they did every year, the Padres finished in last place. Smith, who had some financial problems according to the Post article, sold the team to McDonald’s hamburger tycoon Ray Kroc for $12 million in January 1974. And, the Padres kept losing. Early on in Kroc’s tenure as owner, he famously grabbed the p.a. microphone and grumbled to the crowd: “I have never seen such stupid ballplaying in all my life.” Fans watched the team go 60-102 in 1974 and, for the sixth straight year, end the season in last place. The Padres finally made it to the World Series in 1984, losing in five games to the Detroit Tigers. They lost to the New York Yankees in four games in 1998. As for Washington, D.C., baseball fans, it was a long wait. The Houston Astros were rumored to be moving there in 1995. Baseball skipped over D.C. as an expansion city a couple of times. Finally, the Montreal Expos, the team that joined San Diego as an N.L. expansion squad in 1969, left Canada for D.C. in 2005. Fans in the nation’s capital can cheer on the Nationals. The Time the San Diego Padres Were This Close to Moving to D.C.
Frank Howard talks baseball with fans. Sandy Koufax and Don Drysdale, two of baseball’s best, topped the Dodgers rotation in the mid-1960s. So, what did the team need? More pitching, of course. 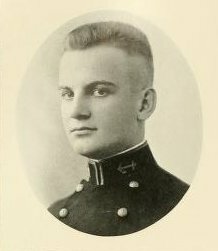 Frank Howard, he of the strong bat and weak glove, served as bait. Osteen flourished in L.A. (posting a career-high ERA+ of 117 in 1965 and following up that with a 116 in ’66. The lefty won 147 games in nine seasons as a Dodger.) Howard sputtered early on in D.C. He hit just 21 homers in 1965 and 18 in ’66, in 149 and 146 games, respectively. Senators skipper Gil Hodges, a former Dodger, suggested that Frank change his swing. Go with more of an uppercut, Hodges said. You’ll hit more flyballs. Step closer to the plate, Hodges suggested. You’ll be able to pull the ball a little easier. The Senators hired Hall of Famer Ted Williams to manage the club in 1969. This is what bugged Williams about Howard: He didn’t draw enough walks. Big Frank usually only walked 50-something times every season. Take a few pitches, Williams said. Work the count. Get a good pitch to hit. Howard, an amiable sort, listened. He hit a career-high 48 home runs in 1969 and walked 102 times, 42 more walks than ever before. He also batted .296. His on-base percentage, usually in the .330s, rose to .402. Big Frank sent 44 baseballs out of the ballpark in 1970, leading the league again. The Capital Punisher dropped to 26 home runs in 1971 and hit 22 total homers in his final two seasons before retiring. He finished with 382 home runs and 1,119 RBI. He made four All-Star teams (1968-71) and stayed on the Hall of Fame ballot for one year (1.4 percent of the vote in 1979). Baseball analyst Bill James ranked Howard the 19th best left-fielder of all time in his 2003 Historical Baseball Abstract. 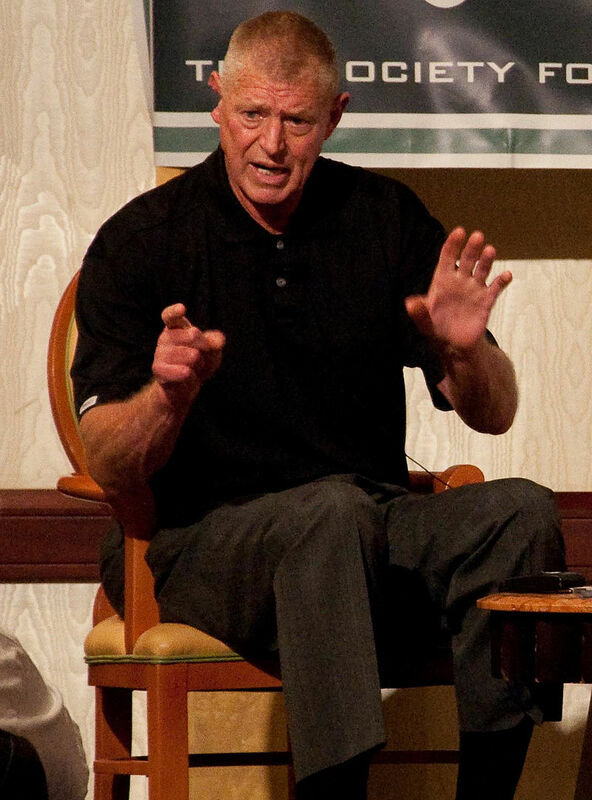 In retirement, Howard did some coaching and managing (San Diego Padres, New York Mets). He eventually settled in northern Virginia; he remains a popular gentle giant. Mel Almada hit .284 in his six-year big-league career with the Red Sox and three other teams. Mel Almada hated the inside pitch. He knew, just knew, that every fastball fired at his hands, hurled near his shoulders, and, yes, sometimes whipped close to his head, was a pitch thrown with hateful intent. “They’re throwing at me because I’m Mexican!” Almada insisted, according to a SABR biographical article written by Bill Nowlin. Baldomero Almada Jr., also known as “Melo,” or just “Mel,” was born in Sonora, Mexico, on Feb. 7, 1913. He was the first Mexican-born player to make it to the majors. Over seven seasons, from 1933-39, with the Boston Red Sox, Washington Senators, St. Louis Browns and Brooklyn Dodgers, Almada hit .284 with an on-base percentage of .342. He knocked 15 home runs in 646 games (2,736 at-bats) and drove in 197 runs. The centerfielder stole 56 bases, including 20 in 1935 for Boston. Melo left his homeland while still a baby. In 1914, Baldomero Sr., a successful businessman, took his family away from the political problems and violence of post-Revolutionary Mexico. The Almadas settled in Los Angeles. Mel and his older brother, Jose Luis (later Americanized to “Louie”), began playing baseball as little boys. Luis established himself as a star with the Seattle Indians of the Pacific Coast League. After graduating from Los Angeles High School in 1932, Melo went up the coast to join his brother. He batted .311 in his rookie season in the PCL. By 1933, The Sporting News, the famous Bible of baseball, had labeled Mel Almada as maybe “the best young outfield prospect” in the league. That summer, the Red Sox signed him to a contract. Mel’s big-league career amounted to a mixed bag. He could certainly run and play defense. He hit for a decent average, but he never showed much power. In 1935, for instance, he batted .295 but with a slugging percentage of just .379 (OPS+ 84). 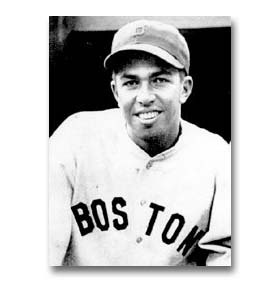 Almada hit .295 in 1937 with the Red Sox and Senators, but again, with a weak slugging percentage (.394). The following year, he started off at just .244 for Washington, but batted .342 in 436 at-bats following a trade to St. Louis. In 1939, Mel hit only .228 in 246 at-bats with the Browns and the Dodgers. His major league career was over. Alamada left the big leagues but kept playing ball, both in Los Angeles and in Mexico. He died Aug. 13, 1988, at the age of 75. Older brother Luis Almada never made it to the majors. The New York Giants placed him on their major league roster in 1927, but Luis got hurt while on a barnstorming trip with the team and never made it back. He died in 2005 at the age of 98. Luis had a theory as to why his talented younger brother quit playing in the majors at the age of 26. It was that inside pitching, Luis said. Mel hated it, and opposing pitching knew it. But, the pitchers weren’t throwing at Mel because he was Mexican. 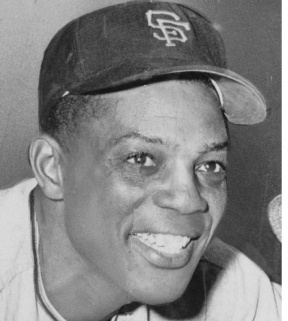 Willie Mays began his incredible career with the New York Giants and continued it in San Francisco beginning in 1958. This is the first of a two-part follow-up to my three-part series on the Boston-Milwaukee-Atlanta Braves. (Yep, the math gets crazy sometimes.) You can read parts I, II and III here. This post reports on the franchise shuffling in major league baseball that followed Boston’s departure to Milwaukee. My next post will cover the Seattle Pilots-Milwaukee Brewers drama/fiasco. The Boston Braves’ move to Milwaukee in 1953 ushered in a round of franchise relocations that lasted more than a decade. Suddenly, owners were looking at U.S. maps, trying to swap problem markets for shiny, new ones. The following is a rundown on the relocations that followed the Boston-to-Milwaukee move, the first one in major league baseball since the Baltimore Orioles moved to New York in 1903 and became the Hilltoppers, (later, the Yankees). The St. Louis Browns. Oft-forgotten in a city with the powerful Cardinals and usually buried in the standings, St. Louis’s American League franchise called in the moving vans in 1954. In this case, a bit against the prevailing grain, those vans headed east rather than south or west. The rechristened Baltimore Orioles played to great success following some early struggles. The Philadelphia A’s. The team had fallen on hard times after winning five championships under legendary manager Connie Mack. Following a 107-45 campaign in 1931 and a 94-60 one in 1932, the A’s suffered through six 100-loss seasons (plus six with at least 95) over the next 20-plus seasons. They moved to Kansas City in 1955. The Midwest’s version of the A’s never had a .500 season and lost at least 100 games four times in 13 years. Brooklyn Dodgers/New York Giants. You could write an entire book on this, and many people have. The bottom line is this: Major League baseball was going to be in Los Angeles at some point. Dodger owner Walter O’Malley negotiated with New York City officials—faithfully or not—and couldn’t come to an agreement. L.A. officials opened their arms and offered O’Malley some premium property on a hill north of downtown. The Dodgers needed another team out west and invited the Giants, who were playing in the dilapidated Polo Grounds. The teams began play in L.A. and San Francisco in 1958. Each franchise draws more than three million fans every year. That’s the very, very short version. Roger Kahn can give you the long version. Be careful, though. He had a dog in this race. Washington Senators. “First in war, first in peace and last in the American League.” That’s what many people said about Washington, D.C., and Senators baseball. The team that once boasted the great pitcher Walter Johnson, that won back-to-back World Series in 1924-25 and that took the pennant in 1933 (losing to the Giants in the Series) crashed hard. Plenty of losing seasons were wrapped around a few winning ones in the years following the ’33 campaign. Owner Calvin Griffith moved his club to Minneapolis-St. Paul before the 1961 season and changed the team name to the Twins. Milwaukee Braves. The fun didn’t last forever. Before long, the team fell both in the standings and in the stands. The team left for Atlanta in 1966. Read more about it more in Part II. Kansas City A’s. Like the Braves, the A’s played in their new home city for 13 seasons. The A’s, though, didn’t enjoy nearly as much success as the Braves did. Attendance in Kansas City topped out at nearly 1.4 million, in the team’s inaugural season of 1955, and began on a gradual slope downward after that. Eccentric owner Charles O. Finley took his team to Oakland in 1968. The result: 16 division titles, six A.L. pennants, five World Series titles and an organization synonymous with Moneyball. Washington Senators II. The nation’s capital got a new team as soon as the old one left. From 1961-71, the latest version of the Senators lost an average of 90 games every season. Two cool things: Frank Howard, all 6-feet-7 of him, hit some monstrous home runs. 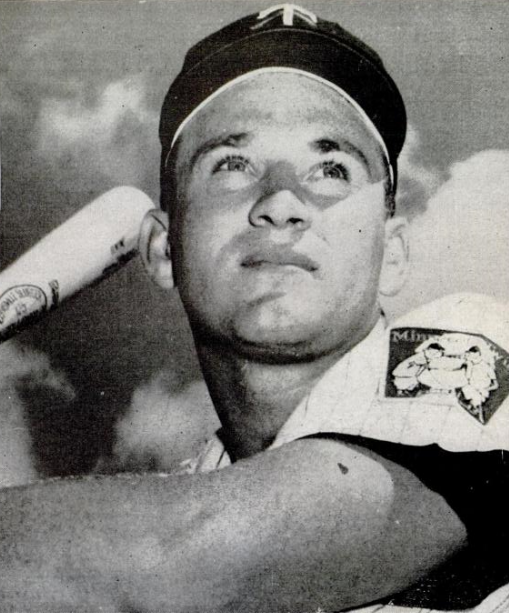 The so-called “Capital Punisher” won two home run titles. Also, former Red Sox great Ted Williams managed the club for a few years. His tenure including an 86-76 (.531) campaign in 1969. The team still finished fourth, but it was the best year for a Washington Senators Part II squad. Before the 1972 campaign, the team left for Arlington, Texas, in suburban Dallas and became the Rangers. Since then, just one baseball team has left its home city. The Expos departed Montreal for Washington, D.C., in 2005 to become the Nationals, the third team since 1900 to make a go of it in the District.